Take your favorite talk/rock radio program with you wherever you may roam, with this first time ever released complete collection! This is a must have for any listener and fan of The Rated RyeMan Show! If you joined late to the party, now you have no excuses in catching up the countless hours and years of insanity and rated greatness! Enjoy, and always… listen at your own risk! Cheers! Category: Digital Downloads. Tag: Rated RyeMan Show. 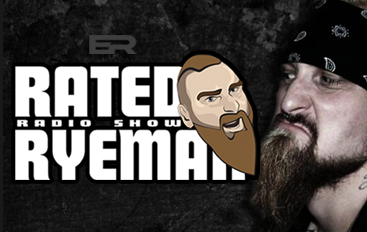 Custom Rated RyeMan Show desktop wallpaper included!